Josh and I want to start doing monthly one-on-one outings with the kids, just short ones. So we put all the dates in the calendar and got organized. My first one with Carson was yesterday. 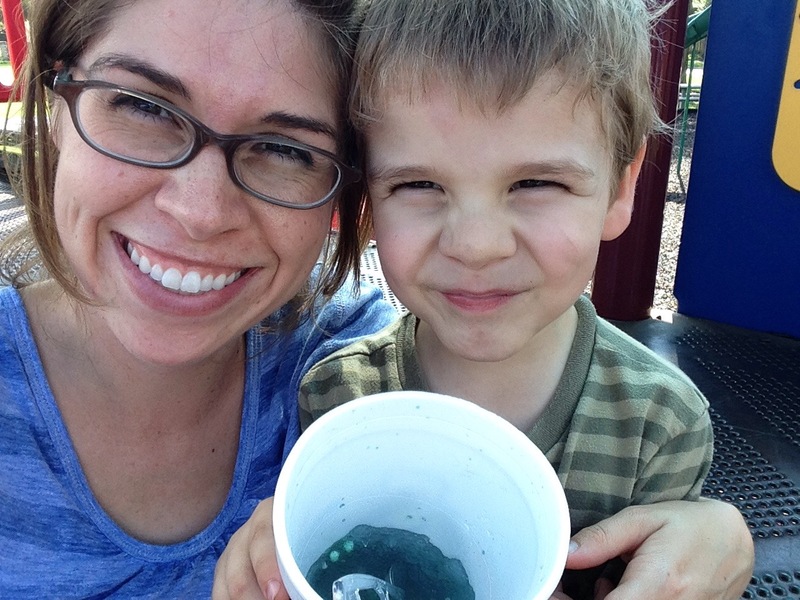 He picked playing at the park (the Sonic slushes were my idea). And we had a blast! It was fun to have some one-on-one time with Carson. Sometimes I feel like I hear “Play with me!” all day from the kids. (More like “pwaywifme!”) But there’s always things to do or we’re about to walk out the door – playtime with mommy often gets cut short. But having the dedicated time set aside made all the difference. It was so easy to play with him and nothing else. We ran around the park (luckily we had it to ourselves) and pretended we were swimming away from sharks. Then we climbed on the “boats” and sailed to the North Pole, then to UtahColorado (since our road trip to both states this summer, driving/flying/boating there has been a popular play theme, and it’s become a compound noun. I guess to the kids you can’t visit one without going to the other). We played tag and ate slushes and talked. I didn’t even get frustrated until the end, when Carson kept disobeying and sticking his playground-dirty fingers in his slush and then his mouth, trying to eat all the last Nerds. Ah, well. :) I think this is going to be a great tradition.